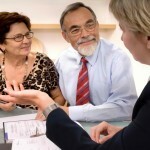 Who Can Create a Power of Attorney in Cincinnati? It is possible to use a power of attorney to give someone else the power to act on your behalf in a legally binding manner. There are various different reasons why you may want to grant someone a Power of Attorney. In the field of estate planning, Powers of Attorney are typically utilized to account for the possibility of incapacity late in life. A significant percentage of people become unable to make their own decisions at some point in time. Sometimes they are physically unable to communicate, and at other times they are mentally incapable of understanding concepts. Who will make decisions for you if you were to become incapacitated for one reason or another? If you have an incapacity plan in place that includes a Durable Power of Attorney, a hand-picked decision-maker of your own choosing will handle your affairs. If you do nothing, the state could be petitioned to appoint a court appointed guardian to take over. This is why it is so important to execute a power of attorney. When you create a Power of Attorney to prepare for possible incapacity, you should execute a Durable Power of Attorney. A Power of Attorney that is not durable would not remain effective upon the incapacitation of the grantor. In Cincinnati, Ohio, if you are an adult of sound mind who is not being coerced in any way, you can grant a Power of Attorney. You could actually create the document itself, but should you? Do you feel qualified to create your own Power of Attorney? There are websites on the Internet that sell generic, fill in the blanks legal documents, and they sell powers of attorney. You may decide to go the DIY route and fill in the blanks on one of these documents. Before you make this decision you should be aware of the fact that Consumer Reports magazine recommends against do-it-yourself estate planning. A couple of years ago researchers from the magazine created estate planning devices using downloads and worksheets that are offered by three of the more popular online purveyors of legal documents. They engaged three legal professors to examine these Last Wills. After hearing feedback from the legal experts, the magazine decided to steer readers away from DIY estate planning notions. When you think about it logically and objectively, there is really no substitute for licensed legal counsel if you want to execute documents that will hold up under the scrutiny of the law. Incapacity planning is a must for all responsible adults. If you would like to put a plan in place, contact our firm through this website to request a consultation. We will explain things to you in detail, answer your questions, and make the appropriate recommendations.